What does Obama read? 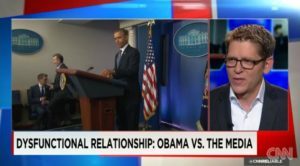 According to Carney, Obama’s media diet includes The New York Times, The Washington Post, The Wall Street Journal, Politico, and the websites of CNN and MSNBC. Carney didn’t mention Fox News, but since Obama has criticized the network on more than one occasion, there is little doubt that he has watched it in the past. Maybe Carney didn’t want to out Obama as a Fox News viewer, and leave him open to being attacked from the left for doing so.